Strawberry season in the UK is from May to September, peaking in July when strawberries are at their best and cheapest. At this time, make the most of this British favourite with a velvety ice cream. Ice cream can be kept for up to 6 weeks in the freezer but is best enjoyed within a week before ice crystals start forming. 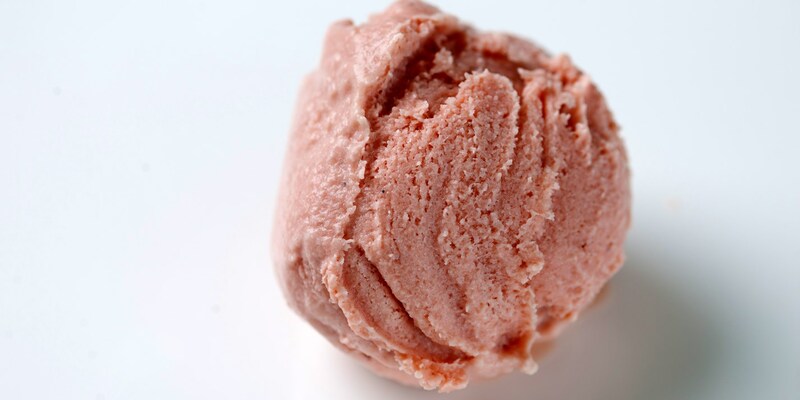 A few twists of cracked black pepper are a lovely addition to strawberry ice cream as is a tablespoon of balsamic vinegar. You could make a no-cook version of this ice cream by substituting the milk, cream and eggs with creme fraiche. A big bowl of strawberry ice cream is a treat by itself but is also great accompanied by wafers, shortbread, meringues and, of course, fresh strawberries themselves. The Galvin brothers make an indulgent strawberry sundae or you could try Matthew Tomkinson’s Yoghurt and vanilla Eton mess with a big scoop of strawberry ice cream on the side.